Here's the basic background: Michael Floyd is on probation for a DWI in Arizona. One condition of his probation is that he needs to submit to (and pass) breath alcohol tests multiple times per day. According to court documents, Floyd failed numerous tests on June 11. Starting at 5:30 a.m., his breath alcohol concentration was 0.055. 24 minutes later it had declined to 0.045, and by 6:23 is was still 0.044 (Floyd then skipped the next test). Floyd is denying that he consumed alcohol, and his attorneys are arguing that these tests were the result of drinking Kombucha Tea. This particular type of tea is known for fermenting (increasing in alcohol concentration as it sits around waiting for someone to drink it). In fact, one manufacturer of the tea is being sued because its product can potentially end up having almost as much alcohol content as 3.2 "near beer." Interestingly, it is also the exact type of tea that the Vikings recommend for their players, and they even provided Floyd's attorneys with a document explaining why. So, Floyd was drinking Kombucha on the advice of Vikings trainers, and claims that this was why he tested positive for alcohol. 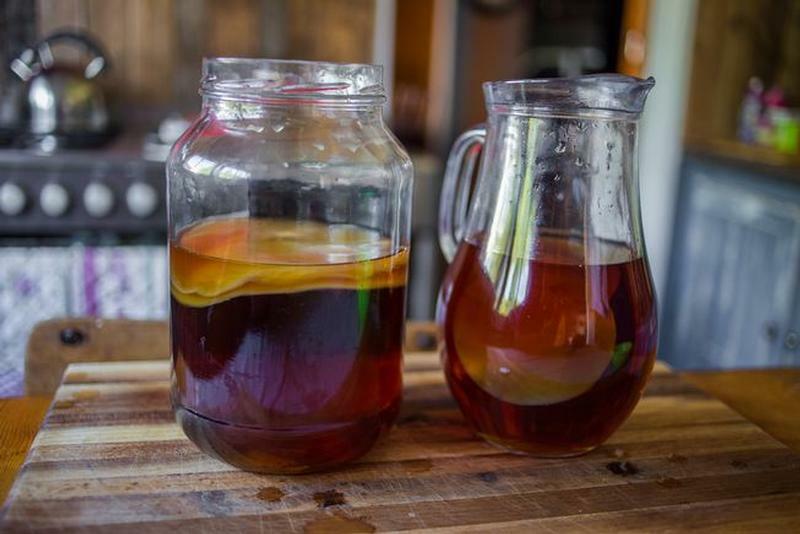 His attorneys provided two reasons: 1) the fermented alcohol gave him an alcohol concentration up around the 0.05 mark, and 2) he took a sip of the tea right before starting to test, and "mouth alcohol" artificially elevated the result. The first argument might have merit; the second one is where we're going to focus today. "Mouth alcohol" is a major problem with breath alcohol testing; slight residual vapors in a person's mouth will dramatically increase a breath test result, as will any vapors that manage to escape the stomach and get into the mouth from burping or regurgitating (think acid reflux or heartburn). Would this cause a falsely elevated result? Absolutely. In fact, we've used this defense repeatedly to win cases for our clients who were alleged to have violated their Ignition Interlock program (at least for those clients who are not completely restricted from consuming alcohol). But the trick is to distinguish "mouth alcohol" (or interfering substances in general) from the natural dissipation of alcohol from a person's body. On average (and it's a very, very rough average) a person's alcohol concentration will decrease by about 0.15 per hour . . .assuming they've stopped drinking. So, if one test reports an alcohol concentration of 0.055, and then ten minutes later reports a 0.015, something clearly isn't right. That right there is a big sign that the first test was skewed by mouth alcohol. But what about Floyd's case? He went from a 0.055 to a 0.045 in about 20 minutes. That's a drop of 0.01 in about 20 minutes, or a rate of elimination of 0.03 per hour. I doubt anyone can eliminate alcohol at 0.03 per hour, but we also know that breath tests are very inaccurate, so these results do show a fairly steady rate of elimination, consistent with alcohol consumption and not with mouth alcohol. The test Floyd took about an hour after his first test, at 0.044, is even more strongly supportive of him eliminating alcohol at close to the average rate of 0.015 per hour. Can we rule out mouth alcohol? Absolutely not. That's because mouth alcohol doesn't just affect a test if you take a sip of something you shouldn't right before the test. Any burping or regurgitating is also going to introduce mouth alcohol, and that can keep happening, and happening, and happening. In fact, it could very well have happened here. It's one of the top reasons why breath testing is inaccurate and unreliable, and why law enforcement are instructed to observe DWI suspects for 15-20 minutes before a breath test to ensure they do not "burp, belch, or vomit." The fact that officers don't always pay the closest attention . . . or that it's almost impossible to observe someone experiencing the regurgitation that comes with heartburn or acid reflux, is a topic for another day. But here, there is indeed a lot of validity to Floyd's claims. Will these claims convince the judge? That's impossible to say. But, regardless of the final outcome, it is safe to assume that a lot of people are hoping to find out sooner rather than later; many of us have fantasy football draft sheets to prepare, and Floyd's uncertain status with the Vikings is causing headaches for more than just the Vikings front office.